← Wild Rose Detox, Day 2: Is this detox for you? 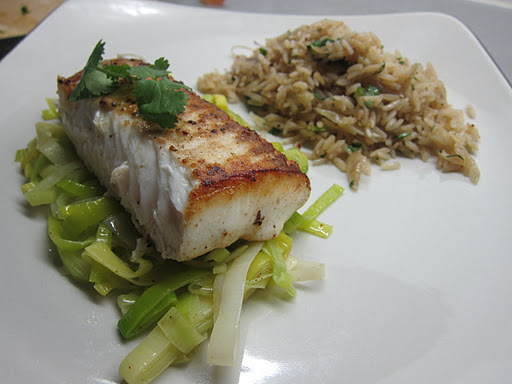 Wild Rose Detox, Day 3 – Fish Day! I know the detox recommends vegetable juices and not fruit juices, and since Day 1 I’ve been trying to find a happy medium between the two. 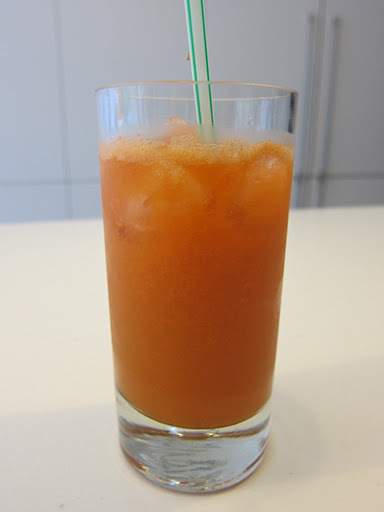 To me, the idea of ‘juicing’ carrot, celery, tomatoes and lettuce and drinking it seems bizarre, and I wonder who came up with doing that in the first place! Nonetheless, in the interests of experimentation (I’ve certainly become more open to trying since I started detoxing), I have upped my carrot intake. My Day 1 juice consisted of 2 carrots, 6 apples and 4 pears – I didn’t drink it all, my family saw me juicing and after having my one glass, they drank the rest of it dry! My juice today contained 4 carrots, 2 apples and 2 pears – it was still delightful. 5 carrots tomorrow! For lunch, I tried to recreate a dish that I’ve eaten at the Pure Restaurant in Soho – it was divine, and such a smart way to mix flavours and textures to make a really satisfying meal. I couldn’t make it look as pretty as they do, but it certainly tasted just as good! Not bad for healthy food! Drizzle a tiny bit of olive oil on a large piece of foil. Place the salmon on top and flip it around so all sides have a very thin coating of oil. 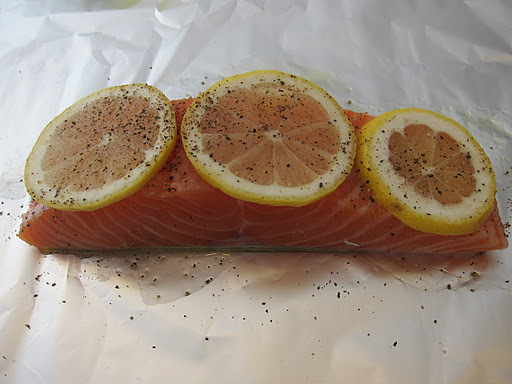 Season the salmon with salt and pepper and place lemon slices on top. Fold the foil loosely over the salmon, give the fish room to breathe but at the same time it’s important to seal it tightly on all sides! 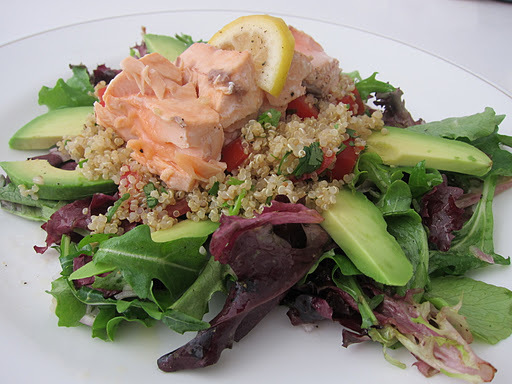 If you are cooking more than one piece of salmon, make individual parcels for each. Bake under the grill for 7 minutes, 8-9 if it’s a particularly large fillet. Not a moment more! 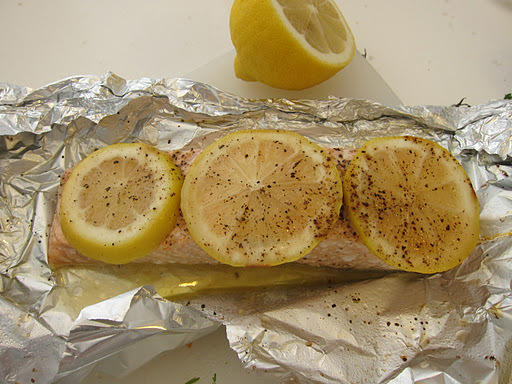 The salmon should be sizzling in the ‘bag’ when you take it out from the grill. You can tear open the foil like a Christmas present 🙂 But be careful of the hot salmon juices! PB felt bad that I had been slaving away in the kitchen every night (he’s been eating what I’ve been eating), so tonight he told me to put my feet up, and that he would be making dinner for me! 🙂 He looked at my list of food do’s and don’ts, and this is what he came up with! I must say, I was feeling very spoiled – he really outdid himself this time! Isn’t it quite amazing how all of these ingredients are permitted in the Wild Rose D-tox? He did use some items that I told myself I wouldn’t eat (rice and butter), even though they are acceptable and I wasn’t breaking any rules…ok, so I sort of flipped the rules a bit. There are a lot more Section 1 foods on the plate than Section 2 & 3, but I figure I can compensate by eliminating Section 1 altogether from my menu tomorrow. While he was at home cooking, I went to a facial for my little treat of the day 🙂 I’ve found that the money that I save by not going out almost every night either for dinner or drinks can be put to a lot of good uses! Sure, I do have a package at my facial place, but what about an extra massage here and there, or maybe a new pair of … shoes! Buying organic is another luxury that I partake in more when I’m detoxing. 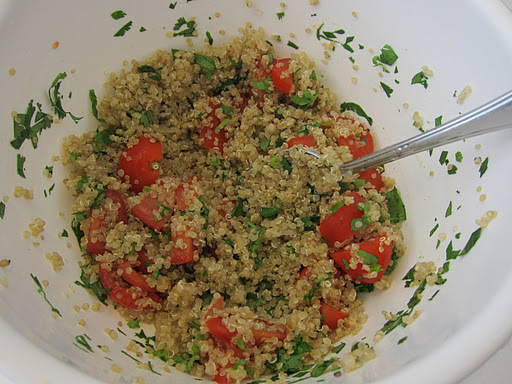 I’ve been wanting to try a new eggplant recipe – it looks delish! It’s funny, when I was younger, eggplant was one of those things that disgusted me, a small taste of it would make me gag. But now, I am really loving it – sure it has to be cooked a certain way (slime-y eggplant is still a no-go), but Baba Ghanoush is a recently discovered favorite! I went to 360 to buy some tahini for Baba Ghanoush, and right next to it was the same brand of almond butter. 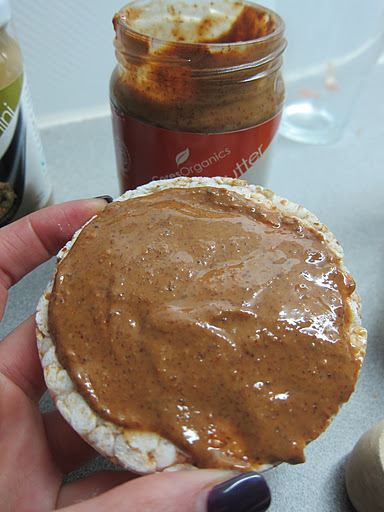 Almond butter is in fact mentioned in the Wild Rose D-tox instruction booklet, as a great alternative to peanut butter, to be spread on rice cakes. I said to myself “HA! I won’t be doing that!”. If you had told me five years ago that I would be eating almond butter on rice cakes ,I would have laughed in your face. But seeing it on the shelf tempted me, and in the interests of trying new things for this blog, and the desire to try something different every day, I bought it just for kicks. It’s soooooooo good! I’m going to be spreading the word about this little jar of yum, I tell you. I’m so glad I picked it up for this detox as well, because it’s the perfect snack if I’m feeling hungry or bored. The consistency is similar to peanut butter, and the taste is nutty, smokey and flavourful. I’d even continue eating it after the detox, and use it for baking too. I asked my brother if he’s heard of it, and he says “yeah, a lot of surfers eat it.” So I guess that means high in energy – which means high in fat. In fact, it has a similar calorie count and fat content to peanut butter, but it has more monounsaturated fats (good fat!) rather than peanut butter’s saturated fats. 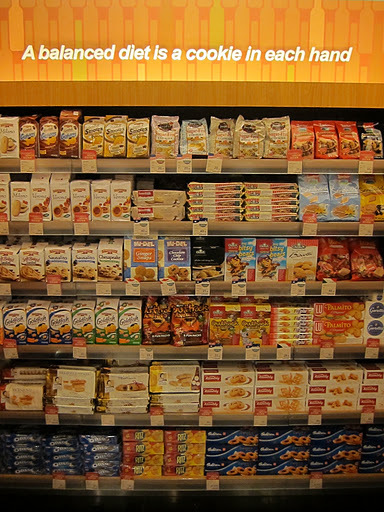 Go ahead, buy some and try it – you have the freedom to eat it on TOAST! The juice and the almond butter are awesome!